When you have an A/C or heating system that needs sudden repairs, you don’t want to trust this service to just anyone. Thankfully, you can count on Cote’s Mechanical to provide you with the best air conditioning and heating services in Cross Roads. Our technicians have the training and experience needed to handle minor and major repairs so you can quickly get back to having a comfortable indoor environment at your home or business. Our team of technicians also handles installations and maintenance, which helps ensure that you have the most efficient heating and cooling system possible. Keep in mind that our company offers free service calls with repairs and free estimates for new heating and cooling installations. We look forward to helping you maintain maximum home comfort all year long. Whether you have a heat pump that isn’t running right or you need to have a ductless air conditioning system installed, Cote’s Mechanical can help. We offer A/C and heating unit installation and repair in Cross Roads for all kinds of air conditioning systems, furnaces, heat pumps, and other HVAC systems. Our licensed technicians can properly install your new HVAC system or show up right away for repairs – even if you need emergency services in the middle of the night. At Cote’s Mechanical, we also offer replacement and maintenance services for our residential and commercial customers in Cross Roads. Maintenance is crucial for keeping your heating and cooling equipment in good shape, while replacement services ensure that you have a reliable HVAC system. We also offer other home comfort services in Cross Roads, including attic insulation and ventilation. When you trust Cote’s Mechanical to care for your HVAC system, you’re in good hands. Our company is known for providing outstanding customer service in the Cross Roads area. We have been offering reliable heating and cooling services for residential and commercial customers since 2001, when owners Cote and Kristi Wyatt first opened the company. We have earned awards and certifications from national organizations and HVAC manufacturers thanks to our dedication to exceptional service. 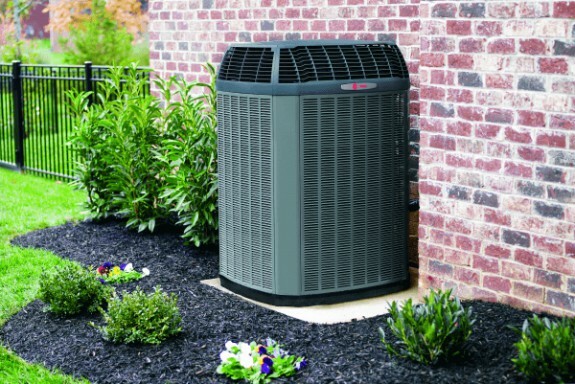 These include certification as a Trane Comfort Specialist, a Superior Service Award from Angie’s List, and certification for North American Technician Excellence. We are also accredited by the Air Conditioning Contractors of America and the Better Business Bureau. Our customers also know that they can rely on us for timely service when they’re faced with unexpected HVAC repairs. Reviews from past customers mention that our technicians show up as quickly as possible to handle repairs and get them done efficiently. Other customers have been impressed with the excellent service they receive when our technicians install new systems. Residents who live in Cross Roads earn an average income per household of $130,625, which is considerably higher than the state and national averages of roughly $55,000 per household. Those who purchase their home also pay more on average when compared to the average home price of around $142,000 in Texas and about $184,000 in the U.S. The average home price in Cross Roads is $405,300. Cross Roads is a small town with a population of just 841 people. Residents don’t need to drive a lot to reach larger cities and towns. Denton is only 15 minutes away via US-380 W, Fort Worth is about 50 minutes away via I-35W S, and Dallas is about 50 minutes away via I-35E S.
The Town of Cross Roads offers a small-town environment with areas to enjoy the outdoors or have a delicious meal. Residents can spend warm days at Cross Roads Town Park, or stock their pantries with fresh produce and baked goods from the Community Market. The town is also just minutes away from the shores of Lewisville Lake, where residents can go fishing, boating, or hiking. Horse owners in Cross Roads who are looking for professional training can visit Top Step Farm. When you’re hungry, head to Prairie House for steak, ribs, and other barbecue dishes, or enjoy some pizza at Palio’s Pizza Cafe. Residents who have an interest in volunteering in Cross Roads can consider joining one of the town’s Boards and Commissions, such as the Architectural Review Committee, Municipal Development District, or the Planning and Zoning Committee. When your heating or cooling stops working, contact Cote’s Mechanical right away. Our team will provide you with prompt repairs for your Cross Roads home or business. We also offer other HVAC services for residential and commercial customers, including installations and replacements. Checking our abc& heater to meet sale requirements.